We might only be a few weeks into 2014, but it feels like I'm already having a creatively productive and action-packed year. 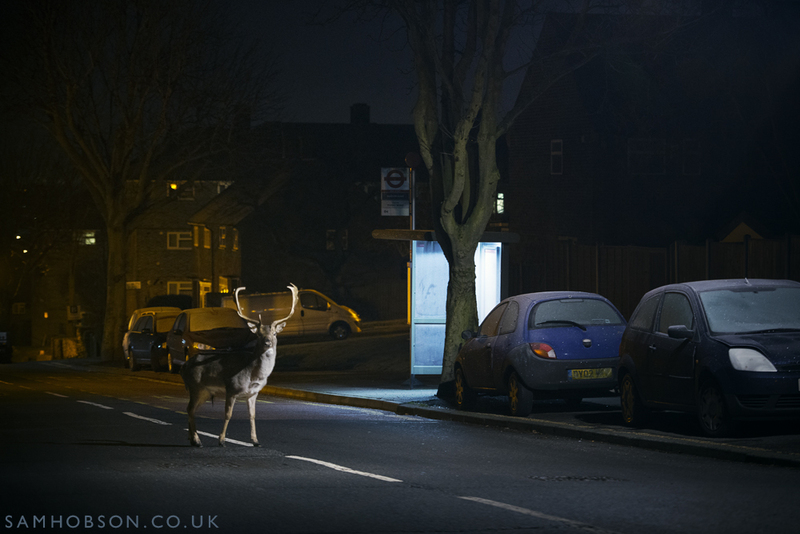 One of the projects I'm most excited about is at an urban fallow deer site in London, where every night during the Winter, deer are coming out of the woods and sneaking into the city to feed on the lush grass of the local gardens and lawns. Ever since first seeing this story on an episode of the BBC's Natural World series, I've wanted to see this for myself, so I'm pretty happy to have found them and excited about the potential for pictures. I'm hoping to spend some time on this series in February to capture some of the things I have seen on my initial recces - hopefully including a sight I'll never forget of a herd of deer crossing a busy road at a zebra crossing! Another unusual urban story I recently found out about involves urban lapwings roosting on rooftops in cities in the north-west of England. For the last few weeks, I've been out and about filming all kinds of bird roosts for Swagtail Films. We've seen and filmed some pretty impressive natural spectacles, including corvid, parakeet, starling and gull roosts, but I never expected to see a lapwing - a typically unapproachable bird of the countryside, in the centre of a city.. Let alone a group of about 50 sat on the roof of a KFC in the middle of a busy roundabout. Another nice surprise this month was to see one of my pictures published in the January issue of BBC Wildlife Magazine. It's always nice to see your pictures in print, but it somehow seems a bit more special in BBC Wildlife mag. It was used to illustrate a piece about bird-scarers and whether they work or not. As you can see from this picture, the answer is no, not always. In fact, some of the gulls that were nesting on this Bristol rooftop were not only using the plastic owls as a convenient look-out, but they were actually nesting right next to them, as they provided a bit of shade from the mid-day sun.